“This action comes after several weeks when the company has reviewed, considered and received the recommendations and advice with respect to potential avenues for relief that are currently available,” the company said in a statement. The filing for bankruptcy protection was made in U.S. Bankruptcy Court in Delaware. 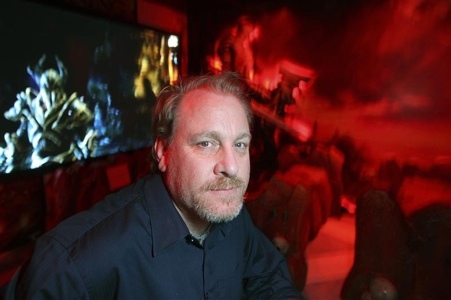 The Providence Journal reported that the Rhode Island State Police and other law enforcement agencies have launched an investigation into 38 Studios. A spokeswoman for Steven O’Donnell, superintendent of the state police, had no official comment. Officials from 38 Studios did not respond to calls and emails for further comment. Schilling’s company received a $75 million taxpayer-backed loan guarantee from Rhode Island in 2010, as an incentive to move its headquarters to Providence from Maynard, Massachusetts. It had received almost $50 million of those funds through late May. In May, 38 Studios was more than two weeks late on a $1.4 million loan repayment to the state and failed to make payroll.